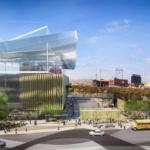 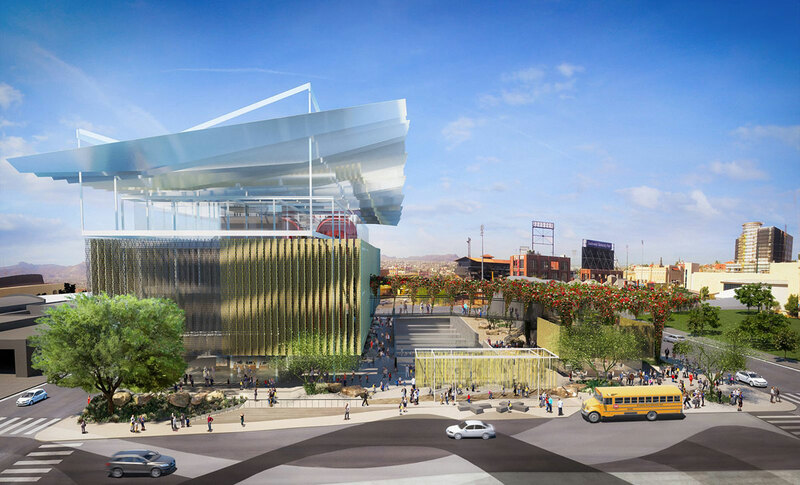 Renderings for the final three designs for the new El Paso Children’s Museum have been revealed, and residents of El Paso, Texas, can vote on their favorite until Friday, December 15th. 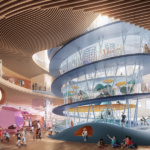 All of the options, which include designs by Santa Monica-based Koning Eizenberg Architecture, Oslo-based Snøhetta, and Mexico-city based TEN Arquitectos, are designed around a master plan with specific installation requirements. 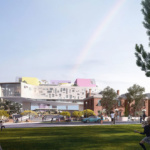 The $30 million Children’s Museum, officially named Spark, is the result of a $473.2 million “Quality of Life” bond program that began in 2012. 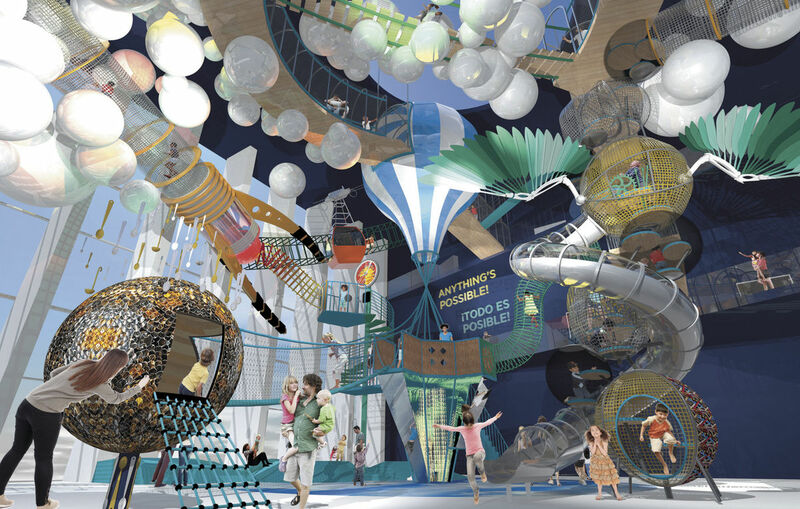 Because Spark is meant to educate people of all ages, the master plan by Gyroscope Inc., a museum design firm, have included nine themed interactive zones, maker spaces, art studios, classrooms and rotating exhibition space. 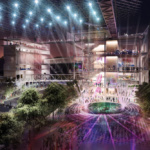 Those themed zones include everything from a climbing-centric room that draws inspiration from the nearby Franklin Mountains, to a rooftop water engineering center in the shadow of a full-scale model airplane. 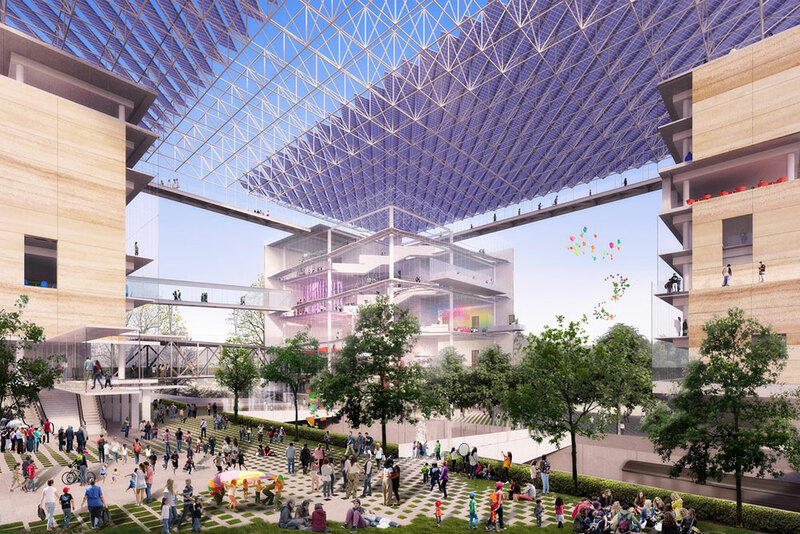 Each of the competing studios chose to integrate these requirements differently. 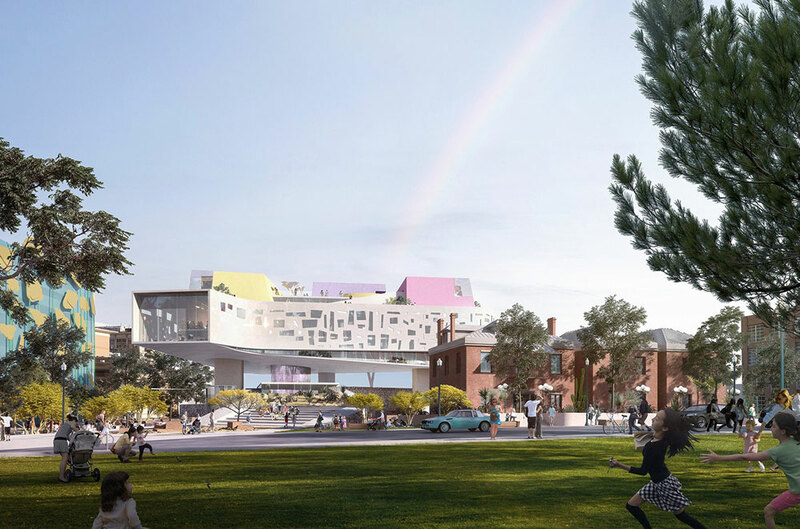 The proposal by Koning Eizenberg is relatively understated, wrapping a boxy glass form in a masonry sun-screen that references local architecture. 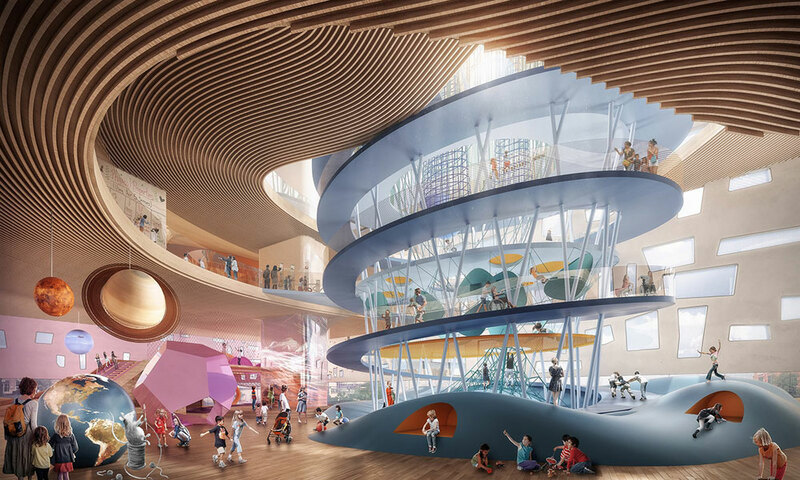 A canopy of “sky canoes” seem to float over the act the building’s roof, trapping water and redirecting it to a learning garden on the ground floor, while the sunlight filtered through the façade is used to teach children about the movement of the sun. 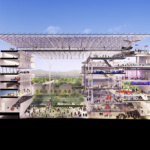 Overall, the firm wanted their design for the museum to integrate science into the building’s every function. 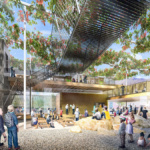 Snøhetta’s proposal goes vertical, lifting the exhibition spaces off the ground and utilizing the space underneath for a series of interactive gardens. 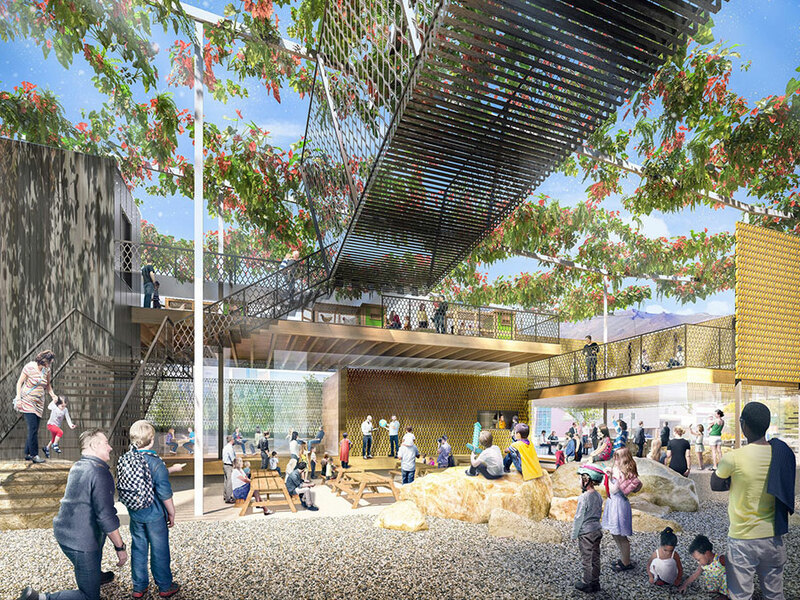 That verticality is repeated throughout Spark, with a set of floor-to-ceiling windows pointed towards the soaring Franklin Mountains, and the placement of a model jet at the museum’s “prow.” Visitors enter at the ground level and ascend into the stone-clad main body of the museum through an elevator inside of a central glass atrium, and are deposited onto a winding, spiral-shaped ramp. 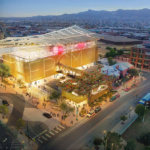 Their design also calls for a large number of interactive exhibits, including a seesaw linked through the internet to a counterpart at the Children’s Museum in Juárez; as one side goes up or down, the sibling seesaw moves accordingly. 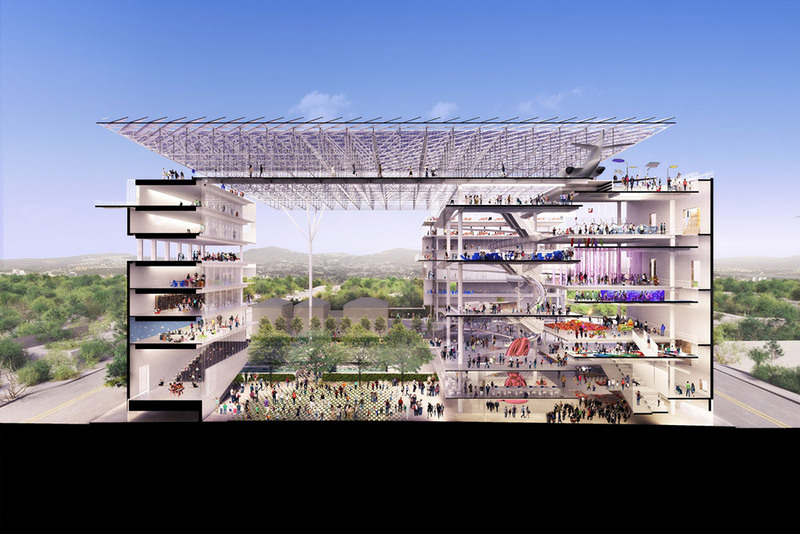 TEN Arquitectos’ design makes full use of the museum’s plot, turning Spark into a miniature campus with individual buildings all unified under a large scaffolding and solar panel roof. 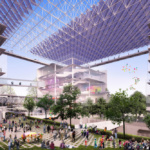 Each of the buildings would house a different program and look down on the public ground-level garden plaza. 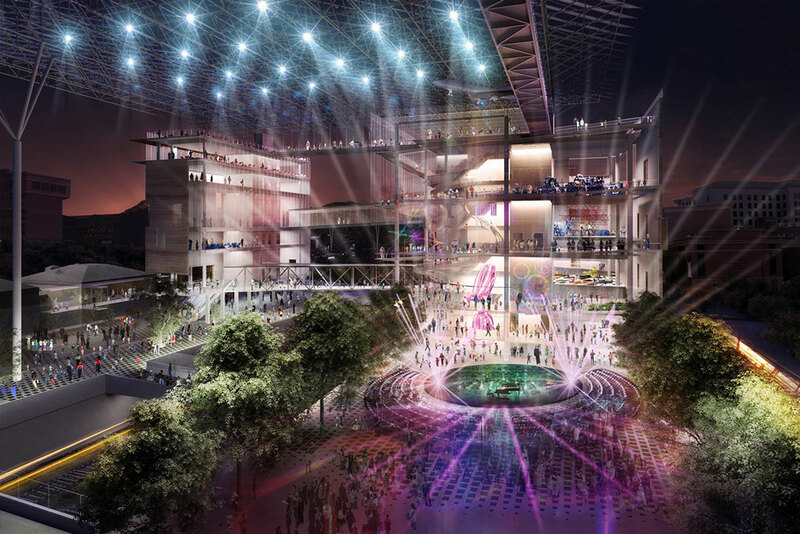 By allowing foot traffic to flow through the space unimpeded, and by hosting events at night in the plaza, TEN Arquitectos is hoping to better integrate the museum into the fabric of the surrounding city. 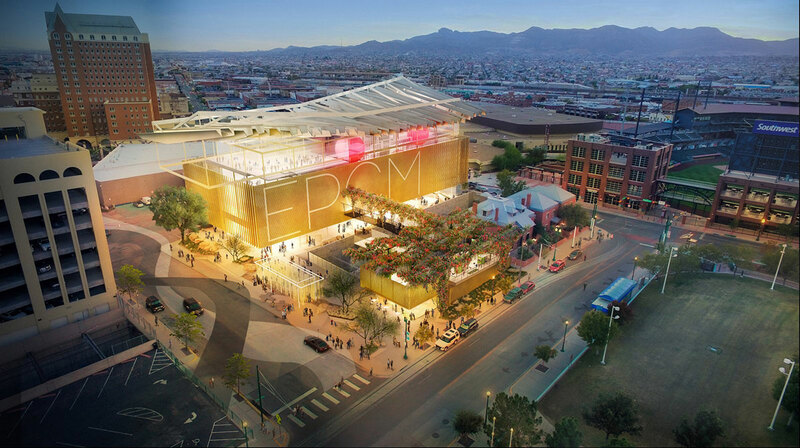 The El Paso Community Foundation and other philanthropic groups involved with the museum expect to break ground in early 2018, and complete construction in the fall of 2020.